According to the analysis of US and Europe asset managers carried out by Greenwich Associates, Bloomberg’s EMSX platform is most popular in equities trading with a majority of 38% of buy-side traders stating that it is their primary EMS platform. Following Bloomberg was ITG’s Triton EMS, now part of Virtu Financial, which is the primary EMS for 19% of buy-siders surveyed for the analysis, and then Charles River, now part of State Street, which is the main equities EMS for 8% of respondents. 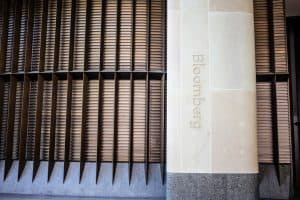 “The ubiquity of the Terminal on trading desks brings EMSX to traders at no additional charge, and Bloomberg has invested tremendously to ensure the platform’s popularity doesn’t wane,” the analysis, which was authored by Kevin McPartland, head of research for market structure and technology at Greenwich Associates, said. The research also reflects the results of The TRADE’s 2018 EMS survey, where almost two-thirds of buy-side traders that use Bloomberg EMSX said that they have no plans to replace Bloomberg as their EMS provider over the next 12 months. The TRADE’s EMS survey also found that ‘ease of use’ and the ‘number of connections to brokers’ are the most important features for asset managers using EMS. For OMS in equities, Greenwich Associates’ report found that Bloomberg AIM was cited as the third most used primary platform by 18% of respondents, behind Charles River named by 21% of respondents and Eze Software, now part of SS&C, cited by a majority of 24% buy-siders. In fixed income, Bloomberg again massively dominated the list of primary platforms for both EMS and OMS. A majority of 44% of buy-side traders currently use Bloomberg EMSX as their primary EMS, while a majority of 33% use Bloomberg AIM as their primary OMS platform for bond trading. Charles River came in second for fixed income EMS and OMS platforms, although far less asset managers use the firm as its primary platform. It was cited as the primary EMS platform for just 7% of traders, and the primary OMS platform for 10%. The post Bloomberg maintains dominance of OMS and EMS space, analysis finds appeared first on The TRADE.